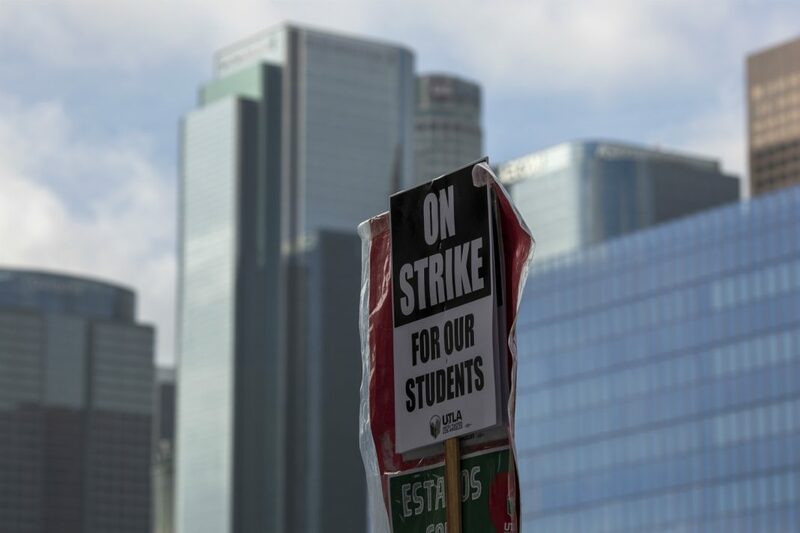 After a six-day strike (not including the day off for the MLK Day holiday), the L.A. teachers union announced that it has reached a tentative agreement with the Los Angeles Unified School District. The union is urging its members to vote yes when a vote takes place later today. The agreement also addresses testing, green space, charter school caps, and other issues. In a tweet, The Atlantic‘s Alia Wong shows a side-by-side comparison of what the district initially offered and what’s in the tentative agreement, which indicates the overall financial investment in schools increased dramatically. On Twitter, in response to UTLA’s announcement, a number of teachers expressed dissatisfaction with the deal, not to mention the expectation that they read, process, and vote on the full proposal in a matter of just a few hours. This agreement is disappointing. This is not what we fought for! Not to mention rushing us all to vote on a 40 page document within hours of posting it. This is not democracy.. I will be voting ‘no’… I know we all miss our kids but we have fought too hard to give in now! Teachers have to approve the agreement before the strike ends; it can be read in full here.